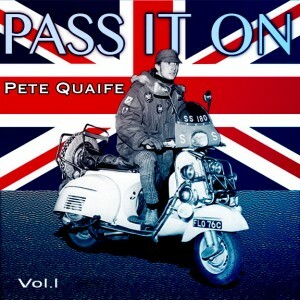 The Pete Quaife Foundation have certainly put together an amazing list of contributing artists. Spearheaded by famous Kinks fans Noel Gallagher and Paul Weller, the album also has a host of other big names. Just a few to conjure with include Mott The Hoople keyboardist Mick Bolton, soul legend Geno Washinton, ex-Small Faces Kenney Jones and Ian McLagan with Jeff Slate, Ocean Colour Scene and Johnette Napolitano of Concrete Blonde. Among other contributors are Billy Hinsche of The Beachboys, Wishbone Ash, The Honeycombs, Heavy Mod, Groundhogs, Chris Pope of the brilliant Chords, Roger McGuinn of The Byrds and Terry Reid has recorded a special live version of Waterloo Sunset with The Kast-off Kinks for the album. There are still tickets available here for the concert at the Seven Dials Club, Covent Garden on Saturday from 1.30pm. Michael Julin, who collaborated with Pete Quaife in Denmark will be performing the songs they wrote together live for the first time in the UK. Mick Bolton will also be playing and at this stage there could still be more special guests turning up, as well as the relaunch of Pete’s book Veritas. So, if you’re round London on May 31st, like good music and want to support a brilliant cause, then the Seven Dials Club is the place for you.